This is the book i read on the subject. 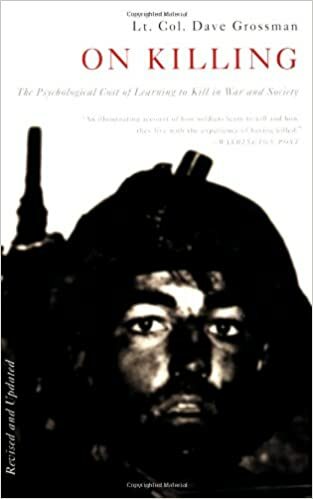 https://toptalkedbooks.com/amzn/0316040932 This book talks about the natural aversion we have when killing another human and the study they did after WWII and how they learned to train today's soldiers to kill more effectively. The main method is the use of life-like targets from silhouettes to mannequins. Also the use of video like games for training, they learned this from the kids who played "Duck Hunt". The kids who grew up playing "Duck Hunt" significantly cut the learning curve how to shoot a pistol and hitting the target. I've hear the same theory, never heard of whatever youtuber you're referring to.